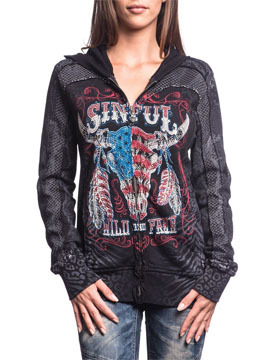 Sinful Topeka Rain womens long sleeve zip front hoodie features a large colorful image of Sinful Wild and Free logo, cow skull, feathers, stars and stripes pattern embellished with dozens of rhinestones on the front. Diamond weave panels sewn on front, sleeves and back. 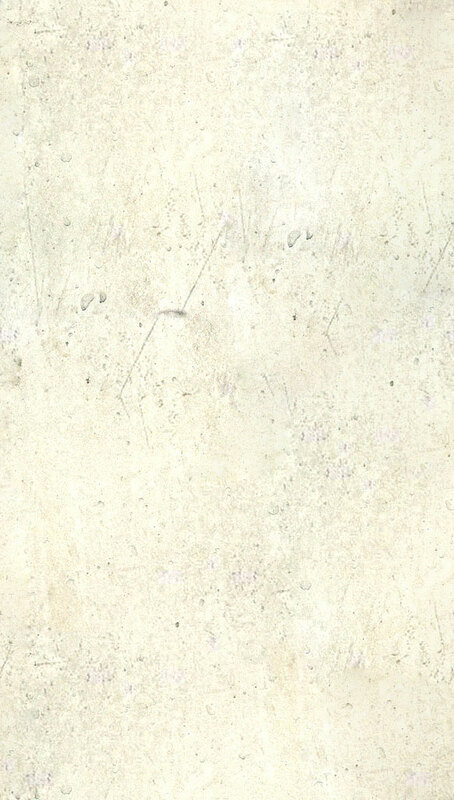 Light colored background collage pattern in tiger, leopard and snakeskin animal print all over the front and back. Lava wash creates a vintage look. Sinful locket zipper pull. Contrasting coverstitch, raw seams. 100% cotton. Lightweight fleece, slim fit. Garment dyed with silicon wash for soft feel. Color: black.